Fill saucepan with 2/3 cups of water and add ginger. 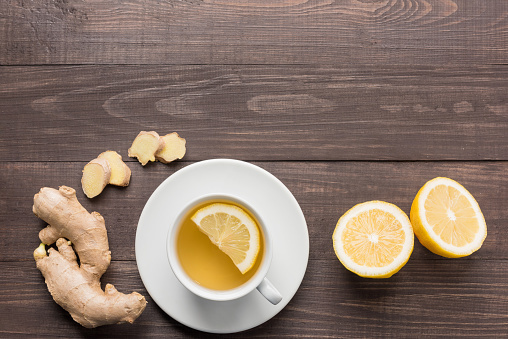 Bring water to a boil and allow ginger to boil for about two minutes. In a two-quart pitcher, add maple syrup, apple cider vinegar and lemon juice. Strain ginger. Stir and mix all ingredients. Can be served warm or on ice. Add more water to dilute if needed.